Got a local business and want a cheap plug? Pop your business card into 2GO reception with $50 attached and we’ll give you a plug all week on 2GO! 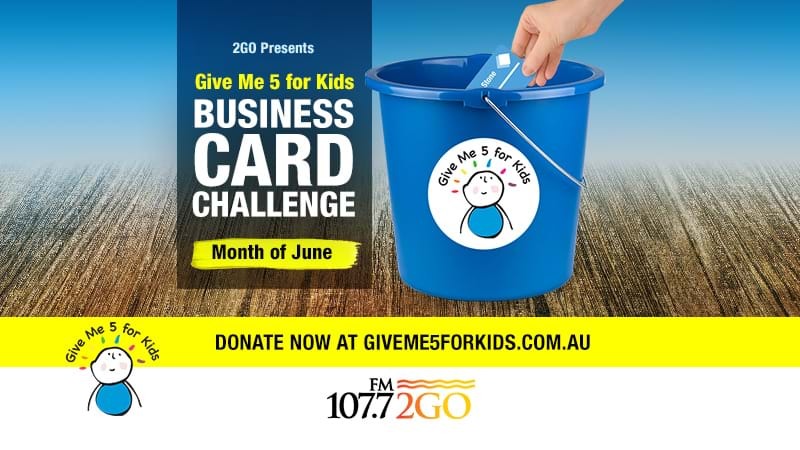 Back for 2017, the Business Card challenge is a great way to plug your business and support 2GO’s Give Me 5 For Kids.